School is out. The heat has arrived.... and that means, it's Summer! That means we will all be looking for ways to beat the heat over the upcoming months. I have discovered a new healthy, delicious, frozen treat called PoPaLiCious! 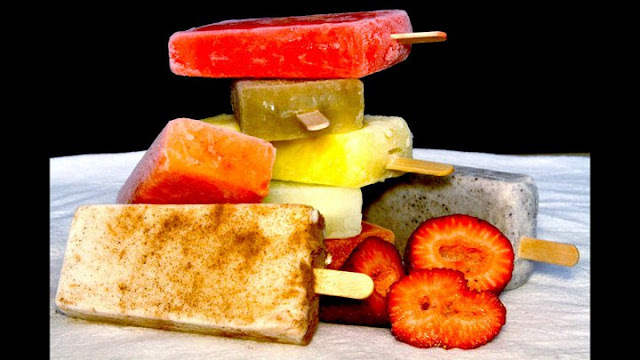 These frozen treats-on-a-stick are inspired from the traditional Mexican Paletas. It’s almost an insult to call these popsicles! These gourmet paletas are made from top quality, locally bought fresh chopped fruits, and other wholesome ingredients like organic raw sugar and – in some cases - healthy nuts and flowers added to the mix. Now personally, I could care less about all this healthy crap. What I care about is taste. I've had almost every flavor and they are not just delicious... they are INSANELY DIVINE! There are two group of pop-paletas to choose from: Fruit and Dessert. 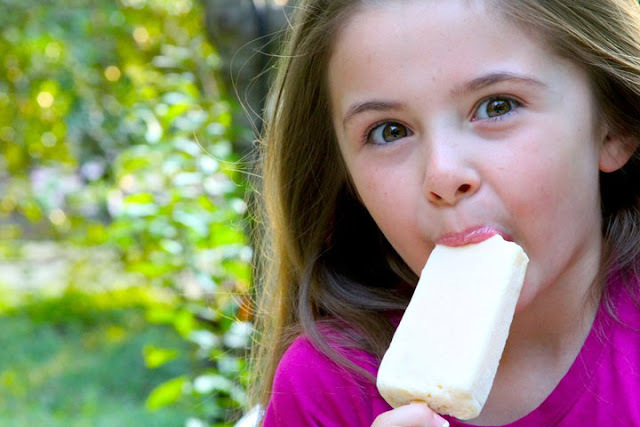 The fruit paletas are so refreshing -- full of chunks of locally picked fruit and organic evaporated cane juice, they are a healthy treat for the whole family. Fruit flavors include: Fresh Watermelon, Cantaloupe, Limon (Lime), Pure Pineapple, Chile-Fruit (fresh fruits with a spicy kick! ), Tamarind and the deliciously exotic flower-made blend of Hibiscus-Mint (my favorite). Fruit Pops are $3.50 each or $36 a dozen (a $6 savings!). You can order individual flavors in sixes or take an assorted dozen. The dessert paletas are a slice of frozen heaven – laden with fresh ingredients, these bars will make your senses tingle, and your heart melt. Dessert pops include: Bella Banana, Rice Pudding, Pretty Pecan, Creamy Coco, Mango Mami, Whipped Strawberry, and Cookies and Cream. Dessert Pops are $4.00 each or $42 a dozen (a $6 savings!). You can order individual flavors in sixes or take an assorted dozen. "Like" their Facebook Page to stay updated for exciting new flavors!! Made in small batches to ensure fresh flavor! No artificial flavors – ever! Not yet sold in stores, these delicious treats are available by exclusive pick-up or delivery. Home delivery in the Park Cities-area is free starting with orders of 3 dozen pops. Smaller ordes will be delivered for an additional $5 – or may be picked up personally (location close to Snider Plaza). Exclusive deliveries are being taken through the summer. Got questions? Want more info? Need to place an immediate order because they look so dang good?